We work in 3 areas within Yorkshire providing Laser Tattoo Removal at every opportunity possible. Based in a tattoo studio in Keighley, Mandala oozes tattooists.Prodominately this is the base that Ink Rethink will be working from most days during the week. Working with Luxe, just on the High Street in Skipton, we are able to meet our demand of being local and easy to find. 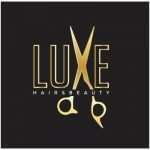 Luxe also has a wide range of services available if you are looking to be pampered! Feel free to pop in and book in there, its number 58a High Street.